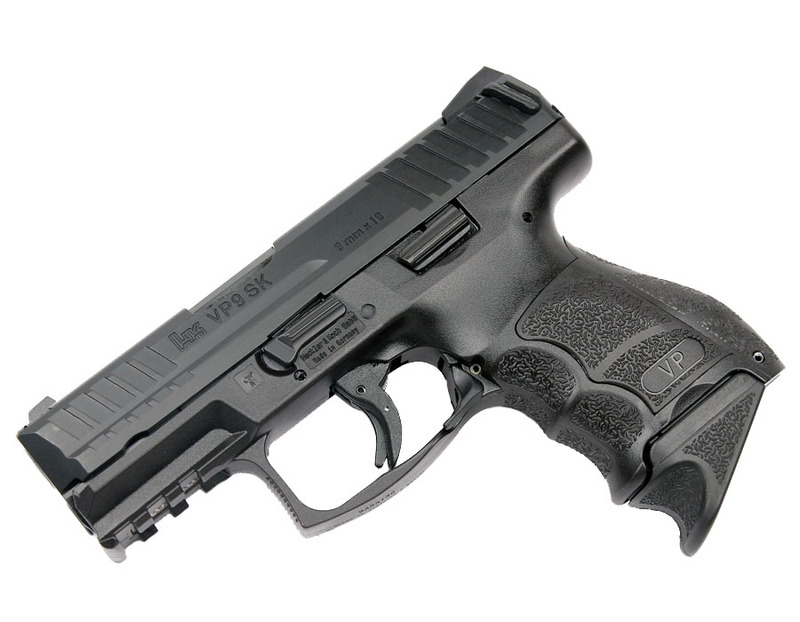 The subcompact version of the popular VP9, the VP9SK combines all the sought after features of the VP9, but in a more concealable package. The VP9SK features a completely adjustable grip with interchangeable backstraps and sidestraps to be modified to fit any user. Additional features include a fully ambidextrous magazine release and slide release, abbreviated picatinny rail for easy attachment of lights, lasers and other accessories, crisp striker fired trigger, polygonal hammer forged barrel, and luminescent fixed sights. Comes with one 10 round flush fit, and one 10RD extended magazine. Made in Germany. I fired 150 rounds FMJ from VP9 sk right out of the box and this weapon is dead-on accurate. I did notice next day after i had cleaned the weapon and then charged it with hollow tips the round almost jammed going into chamber;i notice the FMJ rounds charge a lot smoother. Have not fired a round off yet with hollow tips; has anyone had issues using this weapon with hollow tip rounds? VP9SK is one sweet pistol! Most accurate out of box 9mm I have bought! Hands down my favorite gun to shoot. First purchase from Top Gun Supply, these guys are awesome, great communication and smoking fast shipping!!! Thanks Top Gun Supply! I called Top Gun Supply and asked about ordering this VP9SK in OD Green since they only stock black. I had an answer in hours. I placed the order with them and they were great to work with! They called me as soon as the gun came in and I picked it up the same day. Finally got it to the range. As expected, it is the great shooting, light triggered pistol I tried and fell in love with. Cannot say enough good things about Top Gun Supply making this happen for me. I have several Local gun shops, but I have a new favorite!